Vines have been growing for more than 4000 years in the land of Canaan, what is today Lebanon. Phoenician ancestors were among the first to understand the mystery of wine and exported it across the Mediterranean. Château Kefraya was established in 1979, during Lebanon’s civil war. The vineyard situated at 1000 meters above sea level, on the foothills of Mount Barouk in the Bekaa Valley, is characterized by a stunning diversity of soil types. 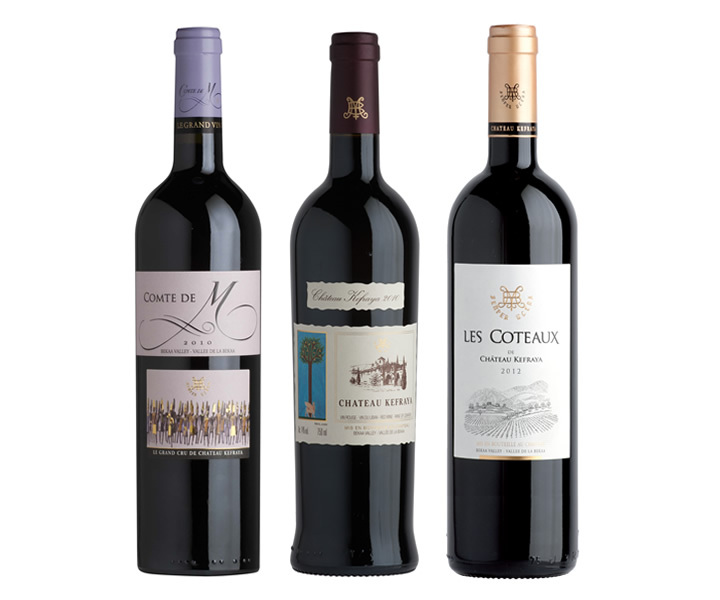 Every Château Kefraya wine, from plush reds to light, floral muscats and viogniers, is a blend of several varieties, all of which are grown exclusively on the estate to respect the terroir’s inherent expression. In August 2015 CNN called Lebanon and the Bekaa-Valley one of 10 up-and-coming wine regions in the world. More on www.chateaukefraya.com.